The girls at WhipperBerry have teamed up with The Secret Garden, an amazing wedding facility here in Las Vegas for the Las Vegas Bridal Show. Vegas is known for weddings, especially fun over the top affairs. And, everyone knows that every wedding needs a little bling. 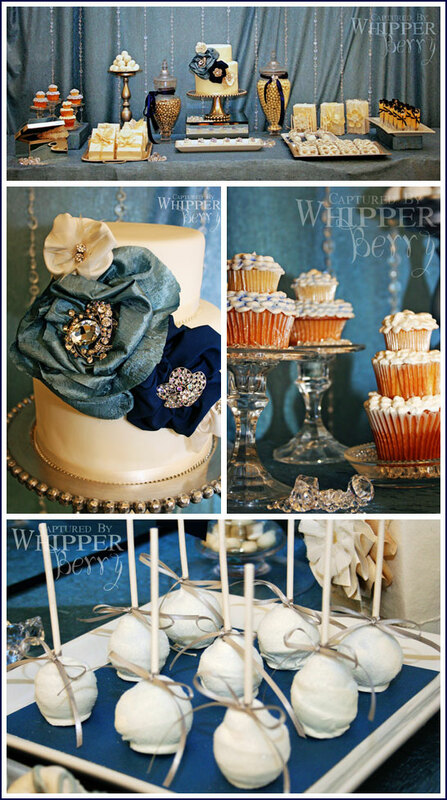 A stylish dessert table paired with a gorgeous cake is just the right touch to send your wedding into the history books. This year we created a fun blue and silver themed table and won Best of Show for the event.